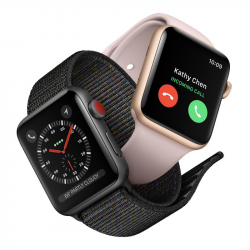 Compatible: Apple Watch 40mm Conditions: Brand new with retail package. Shields a.. Compatible: Apple Watch 44mm Conditions: Brand new with retail package. Shields a..
Wholesale and distribute fashion design loop strap replacement suitable for Apple Watch Series 4, Se..
Wholesale and distribute breathable sports soft silicone wristband replacement suitable for Apple Wa..
Wholesale and distribute pro soft silicone wristband replacement suitable for Apple Watch Series 4, ..
Wholesale and distribute magnetic stainless steal mesh loop strap replacement suitable for Apple Wat..